Mobile Rewards today announced their official launch and the general availability of their Mobile Rewards App, which enables advertisers and small business owners to effectively harness the power of app usage to connect directly with consumers. The Mobile Rewards App will be compatible with the Apple iPhone, iPod and iPad and is now available for free at the iTunes Store. In the first three days of the Mobile Rewards App availability, it was downloaded by over 500 users, and cash payouts have already been delivered. Additionally, reviews state that it’s a cool, user-friendly app that makes it easy to earn extra cash. The Mobile Rewards App makes it simple for mobile users to earn money because advertisers are willing to reward them for their participation. Registered members can take advantage of the rewards feature, where their account information and open jobs are conveniently available for viewing. First-time guests can create a free online account in just a few easy steps. Users are paid cash for their direct input about a website or product. 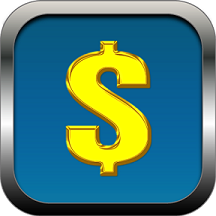 This is the only iPhone app that allows customers to actually make money for things they already do everyday, like watching a YouTube video or visiting a store’s website. Registered users earn a dollar for every 100 credits they achieve and when they reach $10.00 users can cash out and the Mobile Rewards App will deposit the money directly into the PayPal account that’s linked to the user. As the usage of mobile continues to explode, consumers are increasingly turning to apps for information about products and services and to look for new ways to interact with brands. In fact, according to eMarketer, mobile usage increased 30 percent in 2011 over what it was in 2010. Additionally with the launch of the iPhone 5 by 2015 the US mobile advertising market is set to reach almost $4.4 billion. The Mobile Rewards App offers a new way for advertisers to gain direct insights from the consumers who use their products. "With 50% of U.S. adults using mobile phones with apps, mobile is quickly emerging as a new leader for e-commerce, and we are thrilled to launch our app which enables businesses and individuals to harness the power of mobile interactions," said Mike Roche, CEO of Mobile Rewards. "Merchants are looking for a way to leverage consumer insights on their websites and products. Consumers who share their opinions and participate in activities they already do can tap into the power of the iPhone app and earn some extra money while on the go by helping give businesses feedback on their products and websites." The next evolution in app development, Mobile Rewards app enables brands to move beyond traditional connections, and effectively harness the power of consumer mobile usage with their app that delivers direct insights to brands from consumers who earn credit for their participation. The first app of its kind, Mobile Rewards officially launched on March 3, 2012. Mobile Rewards was founded in 2012 and is headquartered in Burlington, NJ For more information, please visit http://mobilerewards-app.com/.